hello welcome to my blog 😁, first, i would like to thanks you for visiting my blog. i hope you enjoy content in my blog 😀. 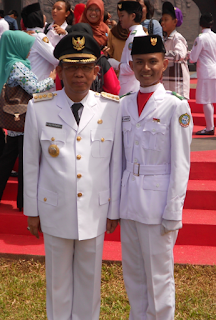 in last blog i already introduce about my self, and now i will tell you about my skill. what do you thing about this photo 👀 ? is he a model or not ? did you ever see this men in your television ? yeah, this is actually me. i am just kidding 😁 about being a model and about being on the television, it's actually true but not as a model. now i will show you about my actual skill. now let's take a look at this photo. 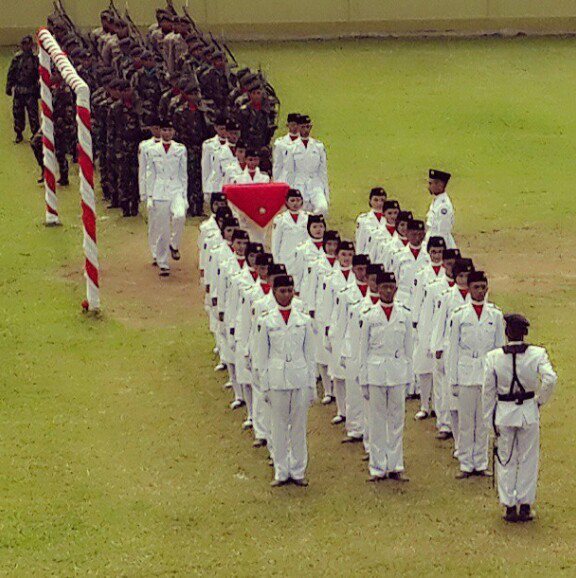 this is my actually skill 😎, PASKIBRAKA (Pasukan Pengibar Bendera Pusaka) flag hoisting troop. i am very proud to be part of flag hoisting troop. because being part of flag hoisting troop is not easy, why ? not easy ? , we need to practice hard for our team work, because paskibra it's not about your individual skills, but it's about team work. first, to be a part of PASKIBRAKA, you need to do a selection, in this selection there are many people from many school, there are at least 300 people. and from that only 32 people who selected. and i am very proud that i have been selected 😄. Wow great! I was amazed seeing that photo!